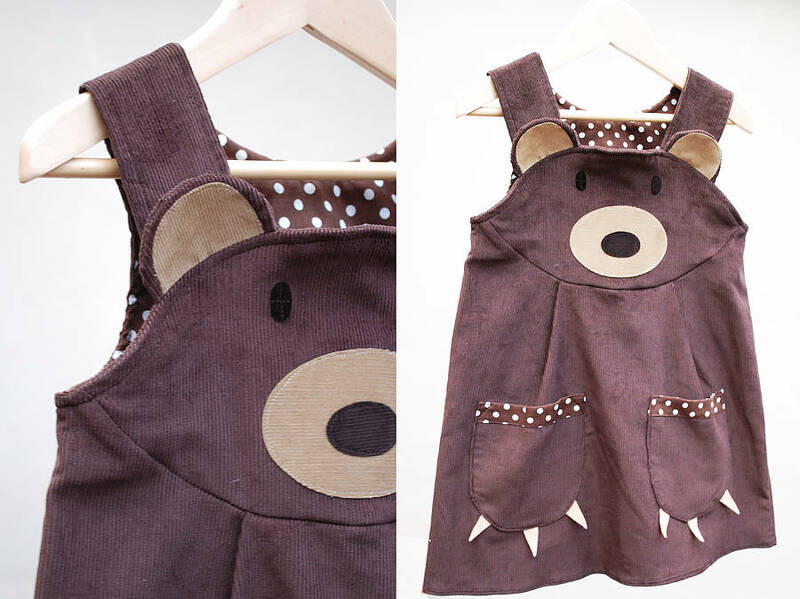 A stunning little girls dress,handmade in softest cotton corduroy ,with a delightful bear applique face,and cute claw paw pockets. Great for beat hunting, and a perfect gift. 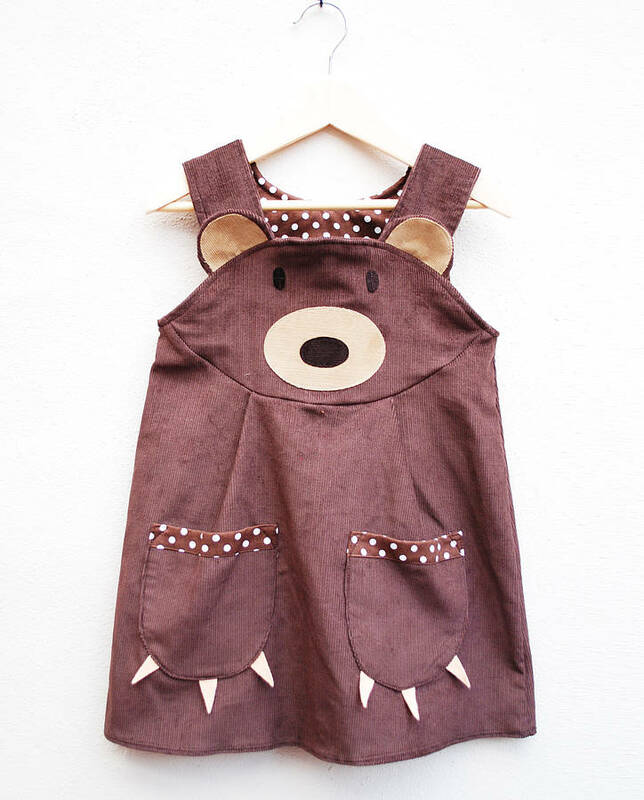 Chocolate polkadot trim on pockets and inside. 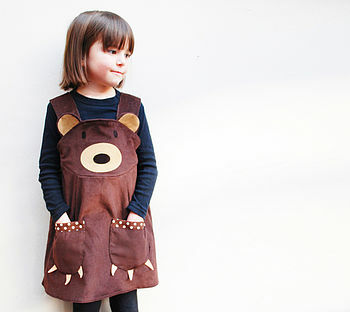 This little dress is sure to be a favourite piece,whilst promoting role play. 100% cotton European quality super soft needle cord. 30 degree wash.Gentle cycle. 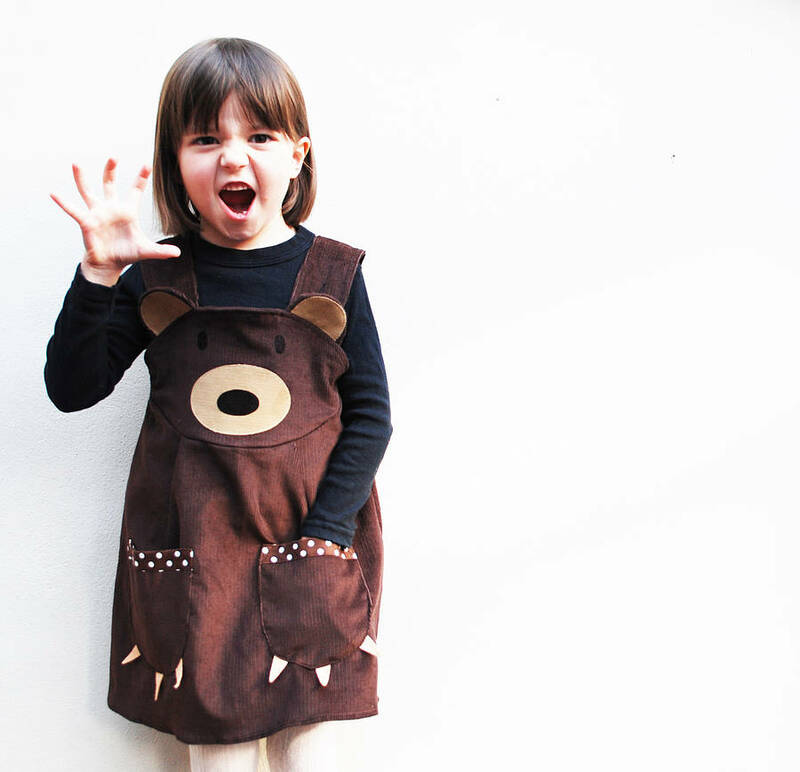 NB: The bear dress is cut above the knee with ample room for layering.Please bear measurements in mind when ordering.